Memories have a bittersweet tinge to them. Bitter because no matter what you can't relive them. They are relegated to the past, which is a path you can no longer tread. And sweet because reminiscing about those moments brings a smile to your face and a sparkle in your eyes. 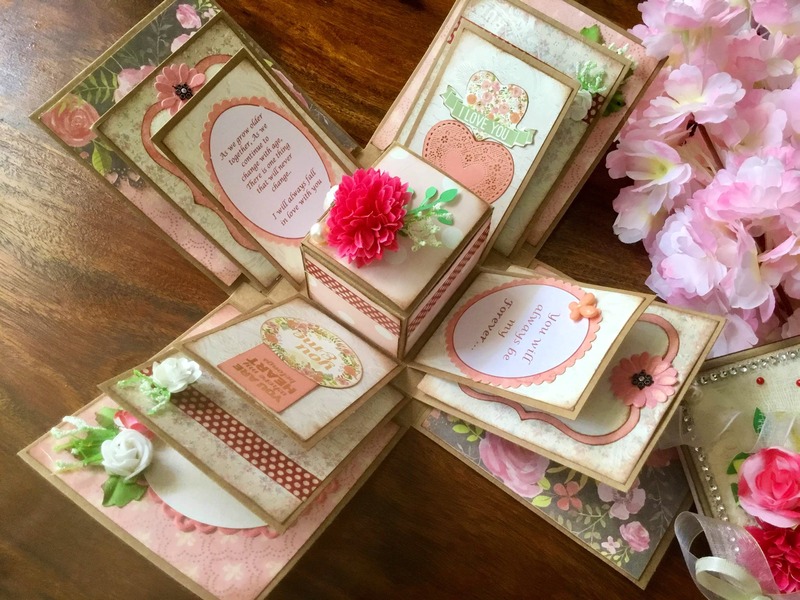 So if you want that spark kindled once again in your loved one's eyes, you should check out the work Sarika does for her endeavour aptly named Scrapbookist. After a 10 year stint in the IT sector, she decided to quit the corporate life to pursue her passion. A creative and gifted artist, she decided to delve into a field hitherto relatively unexplored. And that is how Scrapbookist came into existence. She recreates myriad memories in the form of photobooks, baby record books, personalised planners, photo canvas with mixed media, quiet books, scrapbooks, anniversary/birthday/baby shower invites, corporate yearbooks, and more. We live in the times of instant gratification. Everything we want is a click away or readily available in the market. In the midst of all that, if you can gift your family and friends something handmade that evokes a sense of nostalgia and rekindles fond memories, then why wouldn't you opt for that? So if you want to give that special person in your life something that they will cherish for a long time, then you should check out the Scrapbookist. Scrapbooking is an art of personalised journalling of memories, habits, likes, and dislikes of a person, very skilfully and artistically put together to create a melange of emotions and feelings. It is difficult to replicate in a gift that you would usually buy off the racks. It's a personal, creative, fun, and emotional way of conveying your love. So look no further, Scrapbookist has all kinds of personalised and unique gifting ideas. PS - They deliver pan India. Everything here is sorted, so can't think of anything.